Hit the safe to start button and get moving with the Chad Valley 6V 3 Wheel Powered Scooter. 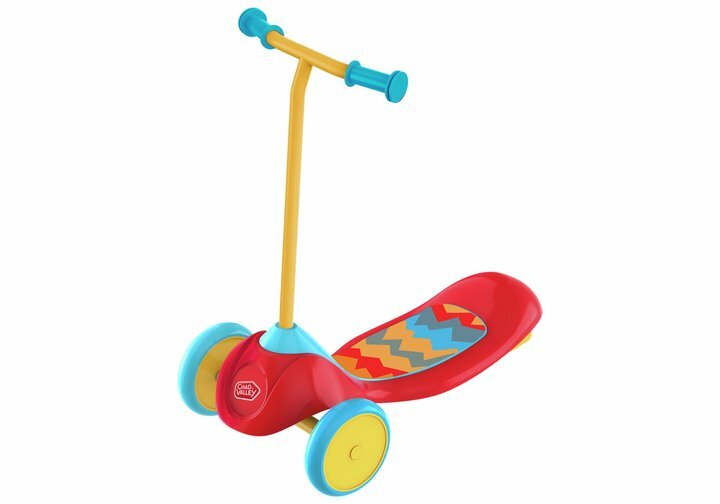 With easy grip handles little ones can ride in comfort with smooth acceleration and simple to control steering; your most cherished will love rolling around on the electronic 3-wheel scooter for 40 (forty) minutes at time on a single charge (speeds up to 1.75mph). Size H64.59, W35.79, D63.6cm and includes a 6v motor and charger. Top tip, to make sure little ones are safe ensure that protective equipment (helmet, knee pads, elbow pads and wrist guards) are worn. Size H64.59, W35.79, D63.6cm.